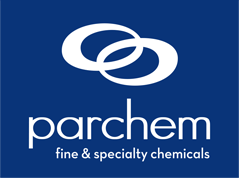 Parchem – fine & specialty chemicals is an international company with small city roots. Founded in 1999, Parchem began distributing industrial chemicals and has since established itself as a strategic, reliable, and dominate link in the nutritional, personal care, pharmaceutical, and specialty chemical supply chains. Parchem does not limit itself; we are also experts in providing raw materials to the adhesives and sealants, paints and coatings, agricultural chemicals, excipients, and flavor and fragrance markets. We are headquartered in New Rochelle, NY in the original J.A. Mahlstedt Lumber and Coal building. We partner with companies across the world to establish and maintain strong relationships that allow us to source the highest quality chemical products available. At the forefront of technological innovation within the chemical industry is where we flourish. Parchem applies cutting-edge sourcing strategies to your supply chain as an extension of your business. We believe in doing things the right way – this means operating by the standards of numerous federal and international regulatory agencies. Parchem prioritizes quality, safety, and responsibility for people and the environment. We are ISO9001 and USDA Organic certified. We are a member of the NACD, American Coatings Association, SOCMA, and DCAT, and we are TTB, DEA, and FDA compliant. We make it easy for our customers to know that their order is being handled properly at every step of the distribution process. It is our privilege to use our long-standing chemical and raw material expertise to provide honest, valuable business to customers and suppliers alike.